12.65mm x 23.07mm / 0.498in. x 0.908in. Veterinarian Charm. 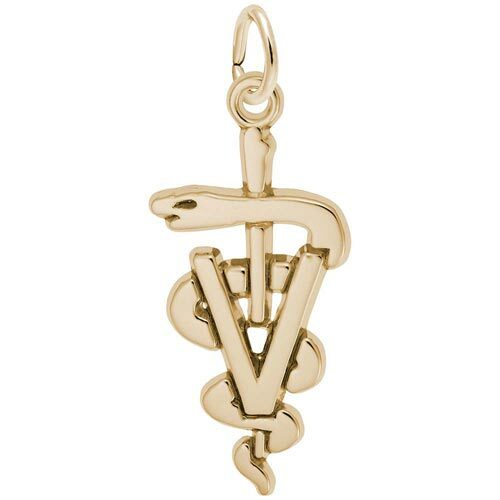 The Veterinarian charm has a serpent intertwined around a V.